What if 1/3 of Americans said there was no evidence Pearl Harbor was attacked? Imagine if a survey were taken in late December 1941 and it revealed that one-third of Americans believed there was no solid evidence of an attack on Pearl Harbor and therefore opposed any mobilization plan. The latest polling on American beliefs about global warming reveals that an equally frightful scenario is playing itself out. According to a Pew Research Center survey released on October 27, roughly one-third (32%) of Americans believe there is no solid evidence of global warming. A solid majority of Republicans (53%) feel this way. Most disturbingly, the number of people who are skeptical about global warming has doubled from just two years ago. With these kinds of statistics, it is no wonder that we have not fully mobilized as a country against global warming. How to explain this? First, a concerted campaign of disinformation on global warming is well underway and gaining steam. For decades fossil fuel industries have worked assiduously to raise doubts about global warming science and to undermine policies devised to address it. That campaign really ramped up with the debate over federal climate change legislation in the past couple of years and it is gaining more traction now that global warming skepticism has become a litmus test of the Tea Party movement. Second, we in the conservation community probably could have done a better job communicating about global warming in the past few years. Perhaps because of all the virulent opposition, many folks in our community became uncomfortable debating global warming and began focusing instead on the opportunities surrounding “clean energy jobs.” I agree that our nation’s dire jobs situation would be greatly helped with massive investments in the clean energy sector, but why should we invest in these types of jobs versus other sectors? The key reason is global warming and the amount of misery it will inflict upon our children and their children if we fail to take action against it. So how to persuade people that global warming is real? In addition to providing the hard facts, we need to distribute compelling images. Plenty are available. 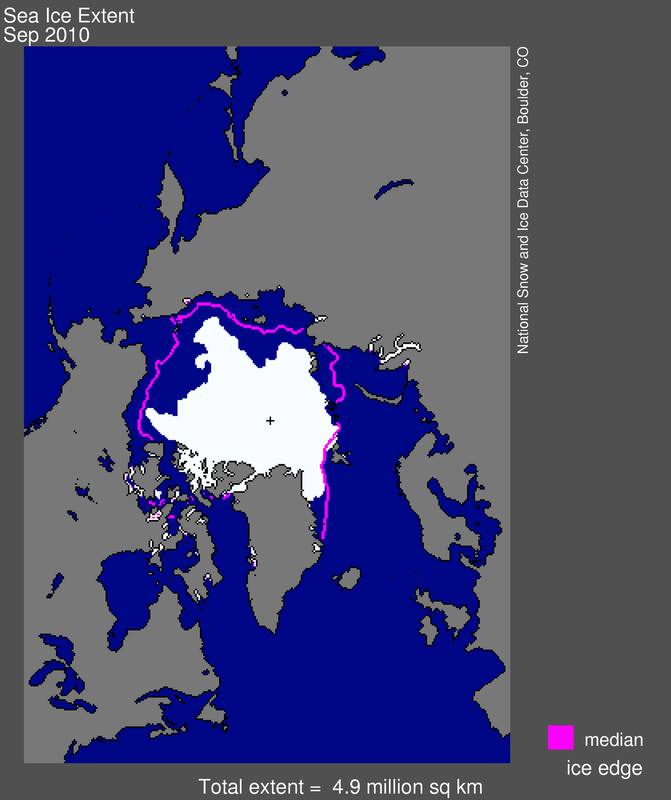 A few weeks ago, for example, NASA reported that this year’s Arctic ice melt season was the third most severe in satellite history, producing an ice mass 830,000 square miles smaller than the late 20th century average. NASA produced a powerful satellite image to drive this point home. Meanwhile the before-and-after images of glaciers melting around the globe continue to accumulate. Is it really possible to continue denying global warming after viewing these images? I suppose there were some who denied the reality of the Pearl Harbor attacks even after seeing the images in late December 1941, but they would have been seen as fringe elements and would not have been allowed to slow down the national mobilization. If only we could take that same approach with global warming deniers.